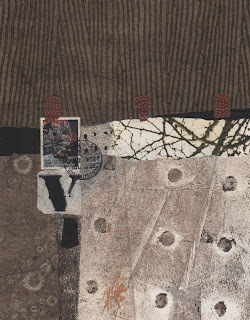 I have been working in my studio on a group of small collages for an upcoming collage exchange. 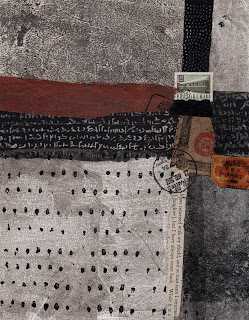 I like to use hand painted (acrylic) rice papers and textured papers with old book pages and old postage stamps. You can find out more information about this collage exchange at the end of this post. 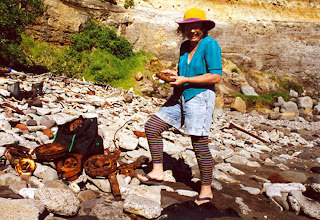 Dale Copeland, looking for rusty treasure at her 'secret' beach in New Zealand. 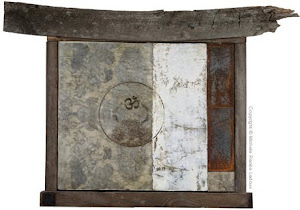 Dale Copeland, a collage and assemblage artist, lives in Puniho, New Zealand. 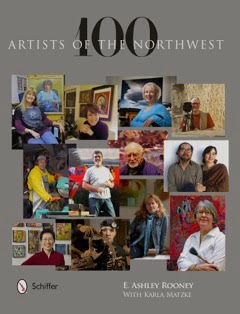 She is a former math and physics teacher who eventually made the life change to full time artist. 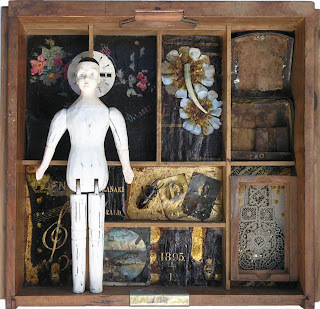 She has a fabulous website which showcases her collage and assemblage works for sale. 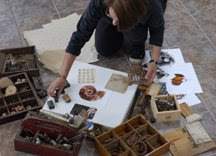 Her website also includes many links to other collage artists, collage exhibitions and opportunities and can be found here. 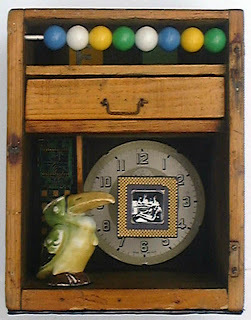 Soon, Dale will organize her 12th International Collage Exhibition & Exchange, in New Zealand. Artists are invited to send her up to 13 small collages. 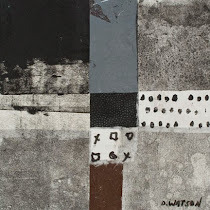 There is an opportunity to sell a collage, exhibit a collage and exchange collages with other participating artists. The deadline is March 20th, and you can find out more information here. I will be one very happy swapper if by fate I get one of your collages Donna! I was working on one of mine last night. It's a great swap isn't it? I love the way your collages so gently and peacefully make me feel connected to the earth. The stone colours strong and solid. Reassuring. I've been to that secret beach:) It's wonderful, although you just about need to be half goat to get up and down from it! lol. My blog header photo was actually taken just a few km along the coastline from it. 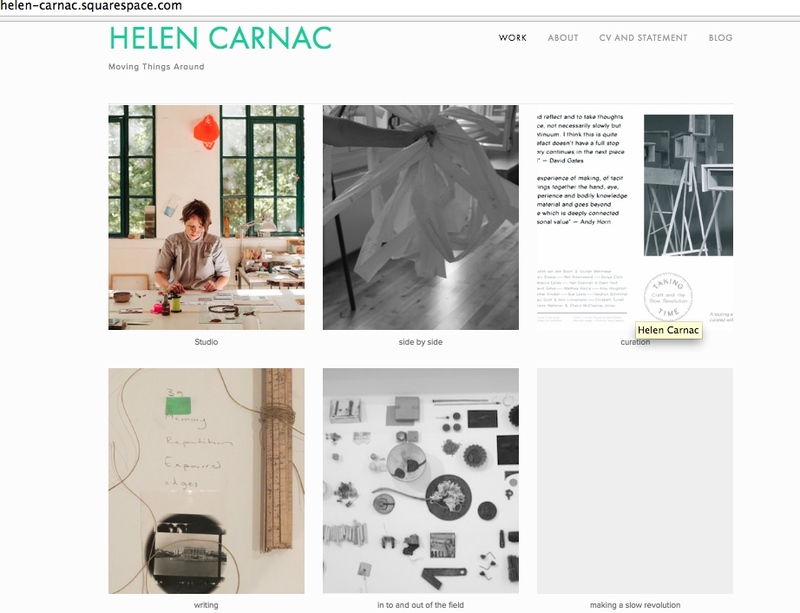 Nice to see a bit of NZ on your blog! Wow, I love these Donna! 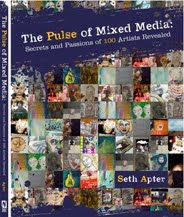 The artists who get one of your collages will be so very fortunate. I have my fingers crossed for one of yours in the exchange too! My favorite part of the exchange is it makes me step up and make a lot of collage - deadlines are good! Dale is such a delight - always so helpful to all of us who inundate her with collage this time of year. Thanks for another interesting post. You have a knack for finding fabulous art. Your work is stunning, so pleasing to the eye. I love Dale's work too, thanks for the link. Walking slowly trough your "secret" garden or beach I find a genuine treasure beach,full of jewels and legends to discover,how wonderful it feels to take a free fall in to this sky made of dandelion dreams,I only have to whisper the names of those who came before us,walked this path and I feel happy and like at home.You see,you got me all poetic, :O)!! Thank you again for the beauty! i am most attracted to your second work...very nice! i'm not sure i've heard of a collage exchange before what exactly is that? beautiful work Donna, it will be a great swap! I really love your collages, they are so peaceful and quiet, they make me feel the same way inside. And your book list, I have three, The Brommer book is so good. 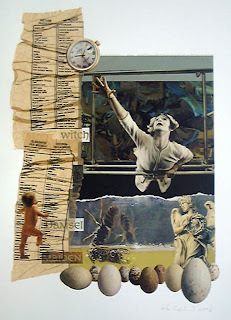 Collage swap sounds wonderful, an exchange of visual ideas. I will definitely explore the link and the artist, here work is wonderful too. Thanks for sharing. Glad you are working in the studio again after your day of not feeling inspired. Your collage work is so "rich!" I love looking at it and enjoying the designs and textures. The limited palette you use is so effective. These are wonderful.. I wish I was swapping, maybe the next go around? Lucky person to get one of these. Awesome works, Donna! There is a strong sense of serenity living in your collages. And thank you for the link to Dale's exchange. I had intended to join last year but never made it in time. 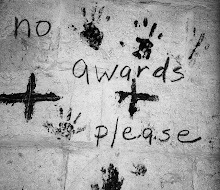 Maybe this year? Beautiful collages, Donna. Leslie posted a link to your blog on facebook. Glad to be led here. Makes me want to get in on the fun. Thanks for an introduction to a new artist. I love your second collage with those papers that remind me of leaves and microscope views. Yum! Love your collages - I know of Dales work and the swap sounds exciting too! Oooo glorious collages, Donna! Very lucky people to receive these in the swap. 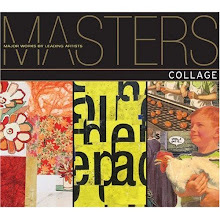 Collage Techniques by Gerald Brommer is on my wishlist. hmmmmmmmm mmmmmmmm so exciting and interesting....so tempting. i will probe further. 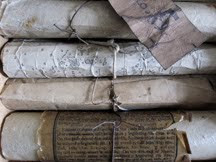 would love a local 'paper' store, the closest is 100 miles away in ann arbor. waiting for a clean highway! run. A collage swap...sounds like great fun and a way to own treasures.Your photos prove this fact....striking in all their composed subtle beauty! Thanks for the link to Dale's site. 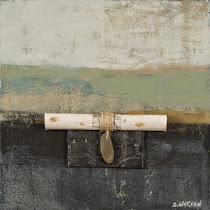 Thanks for the book recommendations, the link to Dale's art, and another wonderful post, Donna. 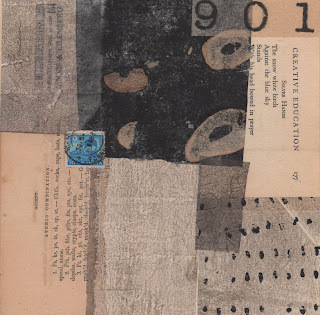 The spare, sepia feel of your collages--the scrawl, the tendrils, the dotted gestures--all of this I find very appealing. Beautiful work Donna! The soft and sepia-like warm tones with cool canceled stamp accents give a sense of the passing of time and your strong contrast and lines really pull the viewer right into the work for a closer inspection. I love them. Loving these collages. They are really compelling. And Dale's work is fantastic too! 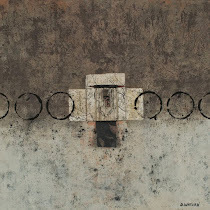 I nod to all the wonderful comments, your collages are so richly quiet and boldly subtle. it's been such a fun time visiting Dale's world...thank you for the intro. You have a very unique style, Donna. These collages are fantastic. I'm sure it will be a great swap! Lucky person to get one of your amazing pieces. Thanks for the link to Dale's site. these are wonderful collages. 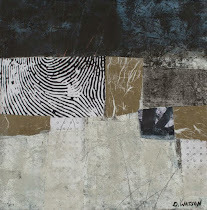 I participated in the exchange one year and even sold a collage. I now realize i hvent gotten any more emails about the event as I used a different email address. Your work is inspiring Donna. I love your work. I love your collages - beautiful!! 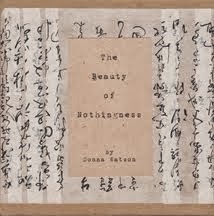 I am relaxed by the amount of zen balance and negative space. OK the challenge sounds very very cool. I'm off to check it out. 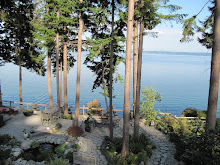 Thanks Donna, another beautiful post here...beautiful images of your work too! I like the idea of the collage exchange, something Leslie introduced me too last year. I almost participated but got caught up with other things! Love these collages. Someone is going to be very lucky!! Once again your work excels in every way and I continue to admire your artistry. It is indeed exceptional. 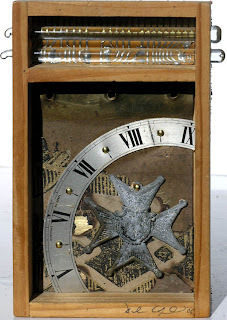 I also appreciate the link to the collage exchange and the artist Dale's exceptional assemblages. Love the colours of those collages, too.Thanks for posting these!! And thanks so m uch for your comments on my blog. thank you for the link... I'm off to have a look now. I just saw your wonderful painting in the Texas Watercolor Society show. So Beautiful! Had to come get Layers fix. Love the new collages for the exchange, rich and yummy! Your collages are exquisite. One of my criteria for a successful piece is that it looks "inevitable". Nothing more would add or detract, nothing less would do. Your work is always on target. Enjoyed the Dale Copeland photos and the concept of college exchange sounds wonderful! Donna, I just found you today from Mary Burk's blog. Your work is beautiful - so modernm, but so warm and homey - it just draws me in. Thanks for the information. If I get my "studio area" up and running soon I may participate too! Wonderful collages Donna, I so love your work. Thanks for the book list..so nice of you to share.